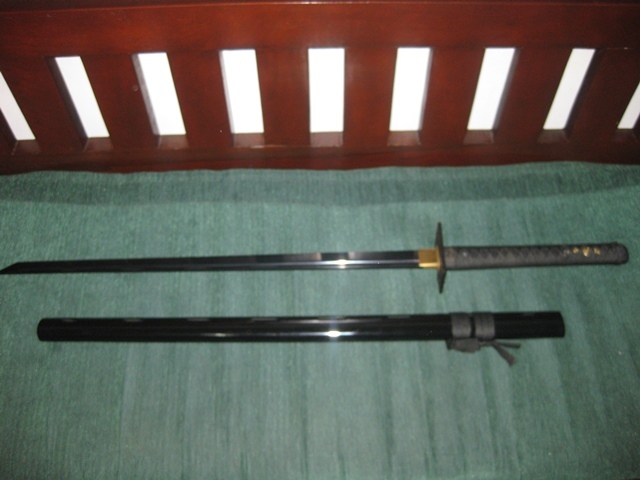 This sword is one of the many fine quality sword being sold by Geisha's Blade, an online sword shop which pioneered the selling of Japanese Style sword in the Philippines. 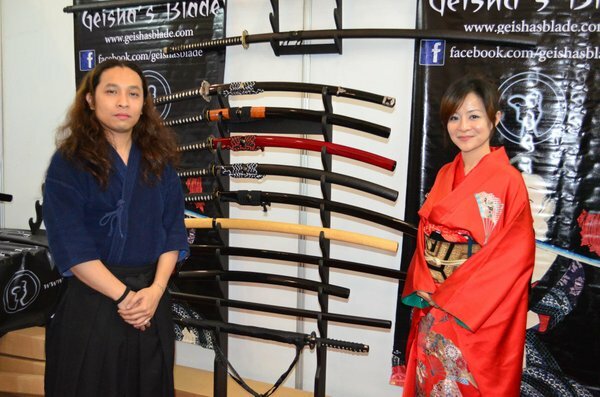 Geisha's Blade is the only online sword shop in the country. It is based on Mandaluyong, Metro Manila but they don't have a physical shop. The humble beginnings of Geisha's Blade was rooted on the proprietors' love for Japanese tradition, arts and culture. Jaimee and Aldwin started out selling swords from their personal collection online in eBay and later on in Sulit. Then in 2008, Geisha’s Blade 芸者の刃 was officially launched. From then on they have been providing Filipinos with their main product, the shinkens or modern crafted katana that are meant for cutting practice. These swords are hand forged (minimal usage of machines in the process), heat treated, oil or water quenched and then polished also by hand. Non-sharpened swords for cosplay, iaijutsu and kata practice are also available. With the mission to educate, promote and provide Japanese style swords, its appreciation, usage and history, Geisha's Blade is committed to offer the finest quality Japanese style swords and accessories. 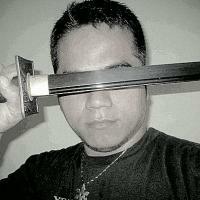 Being fascinated by the ninjas, I have always dreamed of having a ninja sword of my own. But in the Philippines, it is so hard to get one. The usual swords being sold in the tiangge during town fiesta or in the malls are the samurai swords or katana, popularly known as samurai (although it is a misconception: samurai are the military nobility of medieval and early-modern Japan carrying katanas or samurai sword). Also these off the shelves swords have low quality and will be very dangerous to use in practicing. Then with the help of Google search, I stumbled upon the website of Geisha's Blade. I was really awestruck by their catalog of fine looking swords. But what has attracted me most is this Shinobi Ninja sword. I immediately placed an order and after a few days of waiting in excitement, I lay my hands on my very own Ninja sword.